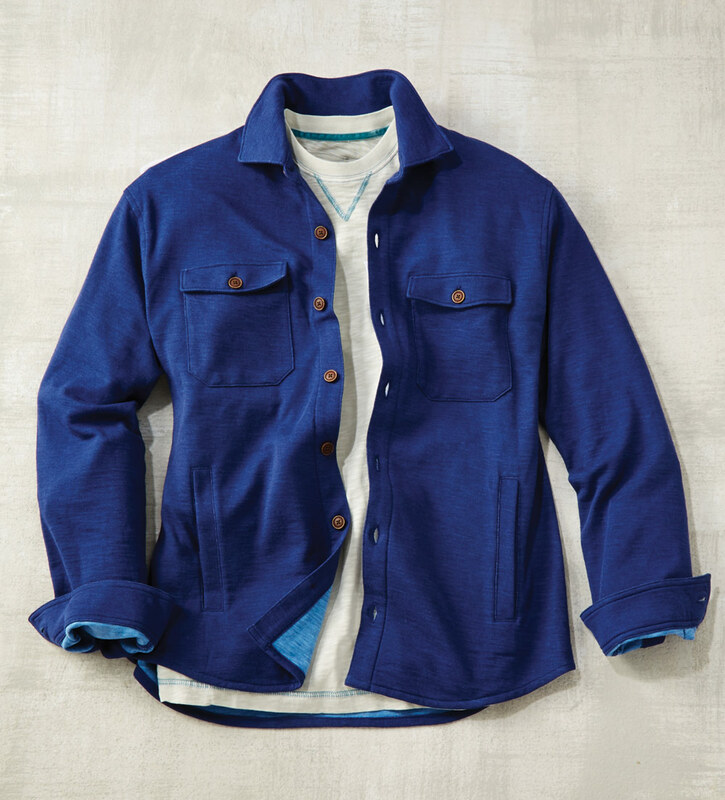 Just right for layering in a cool, stretch cotton blend. Long sleeves, spread collar, button flap chest pockets, shirttail hem. 76% cotton/22% polyester/2% spandex. Machine wash. Made in Peru.